Jan Adriaans, Christian Blandhoel & Sergi Saldaña Massó, Hasan Daraghmeh, Maritea Dæhlin, Risto Holopainen, Eirik Fagerheim Kalsås, Linda Lazer, Laila Torres Mendieta, Vinny Montag & John Halls, Elina Waage Mikalsen & Gina Lindås Theodorsen, Nyamnyam (Ariadna Rodriguez & Iñaki Álvarez), Amin Zouiten & Aron Skoog, Mekdes Weldehanna Shebeta, Arnt Christian Teigen, Ida Holthe Lid & Anne Gerd Grimsby Haarr. In a time when fences and walls are being erected at our borders, when hospitality is declared to be a crime and punishable by law in some European countries while millions are seeking refuge; a time when fear is the linguistic fuel and on which society is to be defined: artists, activists and cultural workers are standing at the crossfire of all the unanswered questions and challenges that we are collectively facing. Radical hospitality is an experimental and performative platform for modes, methods and forms of social connection, belonging and being together. Inspired by this quote, around 20 artists are gathered for a whole evening and will decorticate with us some of the many premises of hospitality, current politics, welcoming and unwelcoming gestures, and all the imaginable relationships between host and guest. By using all the tools at their disposal – poetry, humour, criticality, research and observation among others – the artists are inviting you to navigate through a series of performances, installations and concerts. The ones coming from outside Oslo especially for this event will be hosted at “radical hosts” or a network of temporary families that are part of our extended program. Beyond a political statement, Radical hospitality aims to underline the importance of utopia, imagination; migratory and multiple identities. Det vil serveres mat sporadisk utover kvelden. Gratis inngang. Det er ikke nødvendig å forhåndsbestille billett. Fra og med høsten 2017 er konseptet for Pluss Pluss under utvikling. Konsentrert på én kveld hver sesong vil en ny kunstner inviteres til å kuratere sesongens utgave, med carte blanche til å riste i format og innhold, men med utgangspunkt i tre enkle regler: en åpen utlysning for prosjekter og ideer slik at alle er invitert til å bidra / programmet skal settes sammen på tvers av visuell kunst og scenekunst / kunstnere i etableringsfasen skal inviteres. 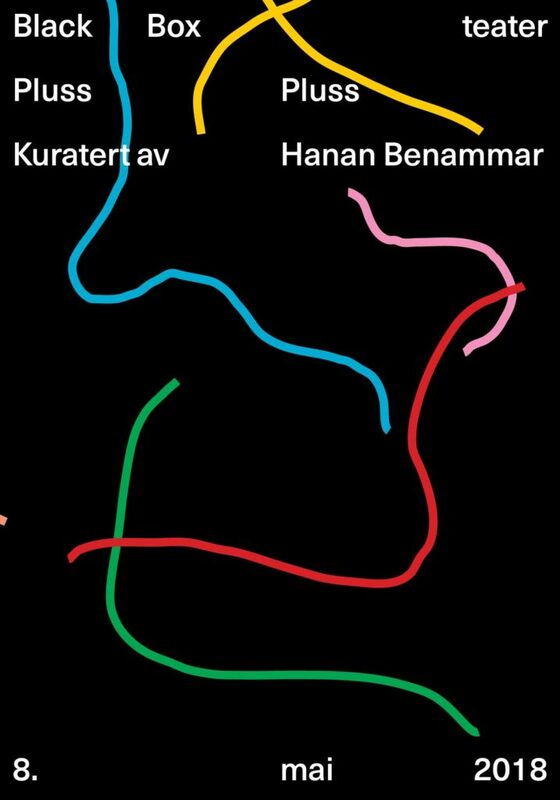 Hanan Benammar (født 1989) er en algerisk/fransk kunstner basert i Oslo, som jobber konseptuelt i feltet mellom geopolitiske, miljømessige og sosiale forhold. Hun organiserer og kuratere også kunstprosjekter som en del av hennes kunstneriske praksis. 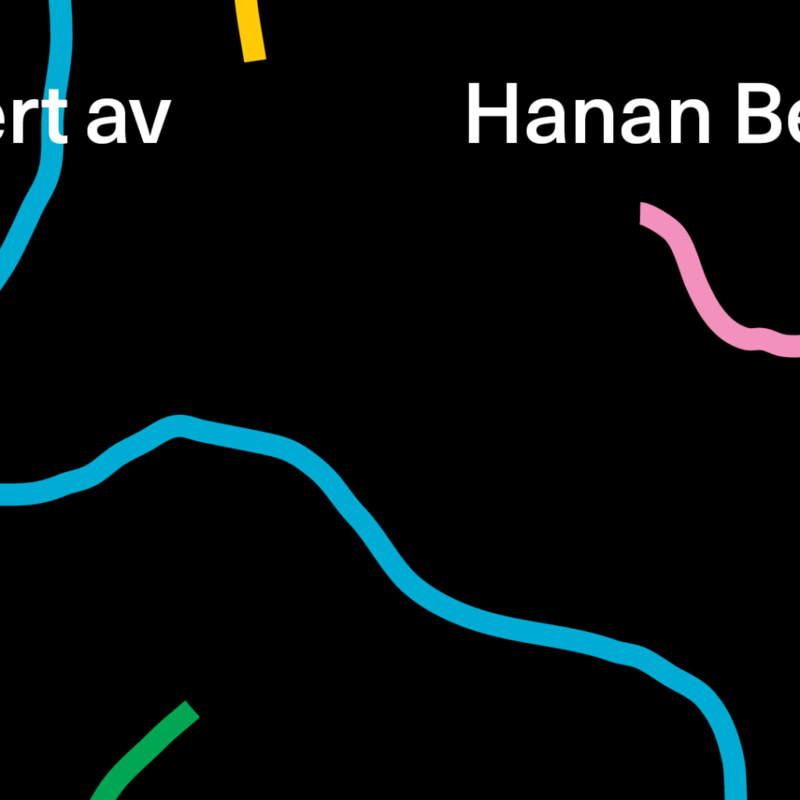 Benammar er utdannet ved Kunstakademiet i Oslo (mastergrad) og Dutch Art Institute i Nederland (mastergrad). Hun har utstilt og utført flere steder, sist på Musée de la Camargue (Arles), Gallery RAM (Oslo), Edge of Wrong (Cape Town), Radikal Unsichtbar (Hamburg) og Radiophrenia (Glasgow). 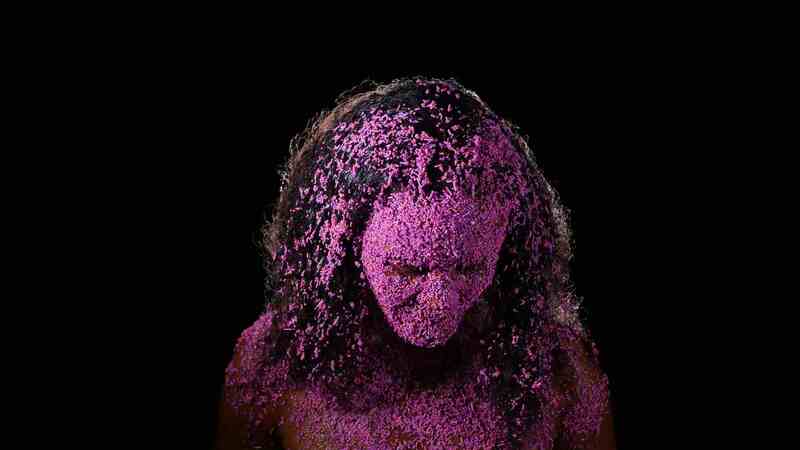 Nyamnyam is a platform created in 2012 by artists Iñaki Alvarez and Ariadna Rodriguez. Their work aims to promote creativity, knowledge exchange and culture by creating sharing strategies to generate dialogue. They use artistic tools to design collective actions that create horizontal relationships. They create a link between diverse forms of art and food as vehicular element to create situations that invigorate relations and social contact between people. They aim to learn new ways to create synergies that can re-activate or re-think our way of living, creating and eating. Jan Adriaans is a visual artist who through video, sound and performance shows the idea of ​​human as an independently operating entity as illusion. By drawing a parallel with the animal, the set of constraints we are subjected to become more apparent. The human Self; a mechanism without free will, but with the capacity to form narratives as a political force. Jan Adriaans graduated MA at the Dutch Art Institute and followed a course on ‘Posthumanism’ as part of a Master program American Literature at the University Leiden. Mekdes W Shebeta was born in Ethiopia. She lived in Kenya and is now living and working in Norway Bergen, Studied fine arts in Addis Ababa, interior architecture in Nairobi, and Bergen the academy of fine Art and Design. She had shown her artworks in solo and group exhibitions in Germany, Ethiopia, Kenya, Norway, and Sweden. Her documentaries, sound and video installations employ a quirky sensibility to investigate the painful consequences of migration. Her techniques of storytelling and narration seek to overcome the traditional formats of the documentary genre. Her work generally address the African side of immigration, both regarding rural to urban movements as well as the struggle to cross international borders within Africa and all the way to the doors of Europe. Throughout her practice, she speaks about loss, hope, the pain of starting your life from scratch and the struggle for recognition. Hasan Daraghmeh is a Palestinian visual artist based in Trondheim. His work explores the interlacing relationship between the individual and space. He attempts to question the layers of identity that exists between the real and the imaginary, between invention and deeply rooted absence of narrative and how this is situated and articulated in relation to space. Daraghmeh has presented his work in numerous exhibitions, including Høstscena, Jugendstilsenteret og KUBE, Ålesund (2017); Ora or Labora, Kunstnernes Hus, Oslo (2016); Disrupted Intimacies, Al-Ma’mal Foundation for Contemporary Art, Jerusalem(2016); Galleri Seilduken, Oslo (2015); “See You in The Hague” Stroom Den Haag. Hague (2014). Maritea Dæhlin is a performer. She holds a BA (First Class HONS) in Devised Theatre with Digital Arts at Dartington College of Arts in England and an MA in Psychodrama at Escuela Mexicana de Psicodrama/Casa Luz. She also studied Acting at Nordic Black Express in Norway. Her life has always been nomadic and since being a child she has been continuously adapting to very different contexts (countries, cultures, languages). This has become central to her artistic practice. She sees her performances as a way of dialoguing with, questioning and revealing the paradoxes in the space she finds herself: feeling home and still being seen as a foreigner. Her performances which span between devised theatre, video-performance, performance art and poetry, are minimal, playful, non-linear and absurd. Aesthetics and experiments, explored rigorous approaches to algorithmic sound synthesis and composition. Those who care about nationalities often have difficulties accepting the fact that Holopainen is a Swedish citizen, although he has been based in Oslo since 1994. Eirik Fagerheim Kalsås is from West Norway. He has studied visual art in Bergen, and in Tromsø at the Academy of Contemporary Art. He has been working with poetry, photography, embroidery, musicality, theatre, video and performance. In 2015 he worked together with Øyteateret and was writing the script for the play Dit du kom fra, which is an Odysee from the real world, exploring the experiences of a young afghan man´s journey through the eight borders between Afghanistan and Norway. In 2017, he worked with four artists from Serbia and Macedonia, in a project called Beisfjord Remembrance. As a group they tried to find artistic methods to deal with the war traumas of the 900 Yugoslav prisoners of Beisfjord concentration camp. In many of his projects he has tried to find artistic ways to explore the pockets of space in-between the ideological and private sphere. Linda Lazer is a sound and performance artist currently based in Outer Space. Influenced by African cosmology and 80ies cold wave, ze tries to convey the mood and atmosphere evoked from spending to much time watching the night sky. Mixing the unstable tones of a Korg synthesizer of days past, afrofuturism and sci-fi thematics, zir dark wavering electronic tones, shapes an otherworldly vision of our very worldly desires and flaws; From sexual chemistry to genocide. Laila Torres Mendieta is a Mexican visual artist currently based in Geneva. Among her professional activities are worth to mention: 2015 “Cinétracts by other means: Notes from Tehran” curated and directed by Doreen Mende and Kodwo Eshun (Otolith Group) Tehran, Iran. Her collaborative role in the cultural channel: “Instinto Animal” for Mexican National Television. In the same year her participation in the performance working project “Appropriation and Dedication” with the group If I can’t Dance I don’t want to be part of your Revolution, Berlin. As well as her role in the transdisciplinary exhibition “Travelling Communiqué”, curated by Doreen Mende, Armin Linke and Milica Tomic, at the Museum of Yugoslav History in Belgrade, Serbia and Addis Ababa, Ethiopia. She also took part in several workshops, exhibitions and seminars around creative and interdisciplinary processes between art, science and technology. Christian Blandhoel & Sergi Saldaña Massó are two musicians active in the experimental music field in Norway for several years. Christian defines himself as a feedbacker, guitarist and sculptor. He has previously performed with Hello Friend and IJIN. Sergi is a percussionist and has performed with AWSER DERF, Monochrome Nausea, Ursimass and Hello Friend. For Pluss Pluss, they will collaborate on the project CIDE, which Blandhoel started in the 90’s as a sculptural project. Elina Waage Mikalsen is a visual artist and musician based in Oslo, but originally comes from Tromsø. She recently graduated from a BA in fine-arts in 2017 and is now freelancing while working as an artist’s assistant in the context of the Art Council’s latest opportunity for young artists. In 2015, she has been selected as the “young Sapmì artist of the year” at Riddu Riđđu Festival. She has exhibited in several venues across Norway. Gina Lindås Theodorsen is for the moment still studying at the Academy of Theater (Khio). Gina also comes from Tromsø and has been freelancing for the past few years in Oslo. They both work with music, sounds and gesture. Their collaborative work evokes gender and post-colonial issues in relation to voice as a physical and allegorical entity. Vinny Montag was born in Cadiz (Spain) where he studied mechanics and later art, specialising in sculpture. His artworks have been exhibited in numerous exhibitions. Some are part of government and private collections. Finding himself unable to precisely communicate his ideas, he decides in 2010 to start his career anew in the field of design and moves to London. There, he studied a BA in Design at Goldsmiths University, where he currently works as Studio Coordinator and Associate teacher at the Design Department. He also obtained an MA in Informational Experience Design at the Royal College of Art. His practice is multidisciplinary, but he mainly focuses on social issues such as homelessness and forced migration. Amin Zouiten & Aron Skoog ”Come people, come people. Come here, here, closer. Gather around, gather around. Come a bit closer, closer. A bit closer. Come closer my friend. Please form a circle, come closer. Amin Zouiten and Aron Skoog, born 1994 have been collaborating since 2013.